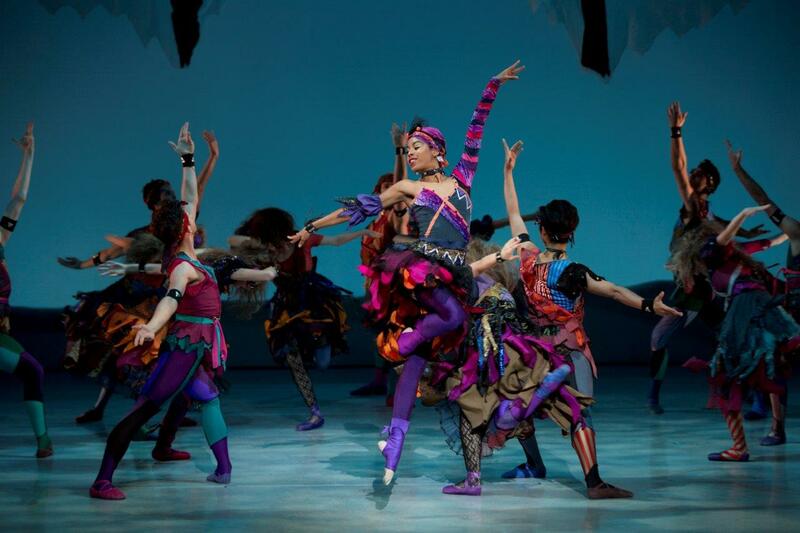 An adaptation of Hans Christian Anderson’s classic fairytale, The Snow Queen is an ideal choice for a school production, in that the youth of the dancers matches the youth of the characters. The marketing team has cleverly tied the font of the poster to that of megahit movie Frozen, which was based on the same tale. The Snow Queen and Gerda may not be sisters, as Elsa and Anna are in the film, but familiarity with the popular movie makes the ballet very easy to follow. Not that any help is actually needed in following the sweetly fantastical story, which is crystal clear in terms of concept and performance. Choreographer Petal Miller-Ashmole keeps the story beats moving briskly while providing maximal opportunities for festive dancing. The distinctive lead roles are clearly defined, with plenty of featured groups having their time in the spotlight as well. With melodious classical music by Massenet, The Snow Queen has all the trademark qualities of a full-length story ballet, with the very manageable 105-minute running time (including interval) making it even more suitable for young audience members. A brief prologue sees the mischievous imps shatter the Snow Queen’s magic mirror, sending tiny dangerous fragments flying out into the world. 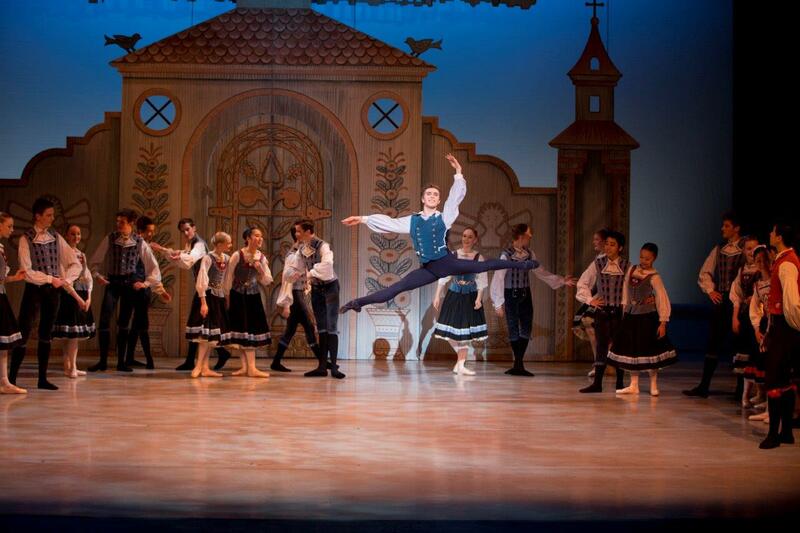 The opening scene soon sees the stage filled with dancers, as Gerda, Kai and friends dance with lively merriment. Although the use of recorded music creates a slight lack of atmosphere, the infectious energy of the dancers compensates in producing a vibrant performance. 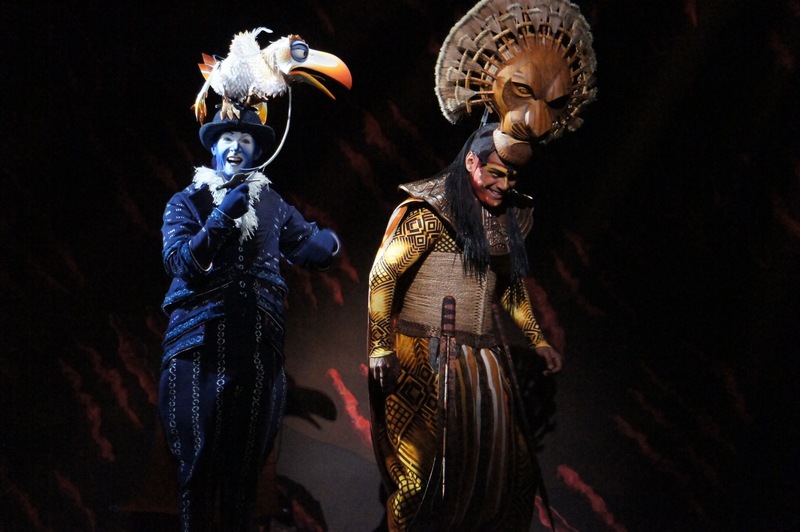 Designed by Hugh Colman, the sets and costumes for this 1993 production have been very well maintained. The Scandinavian villagers are dressed in warm tones of dark and light blue, with featured Friends in rust-coloured vests. 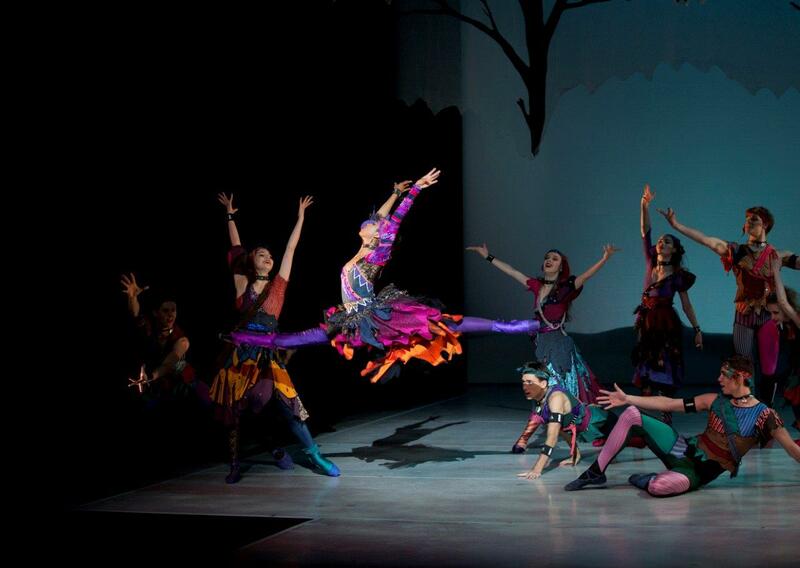 Featured use of geometric patterns in trims enhances the visual picture when the full company dances together. Radiant young dancer Yuumi Yamada is an absolute delight to watch as Gerda. Yamada conveys the determination of the plucky heroine, while her petite frame gives the character added vulnerability while on her quest. 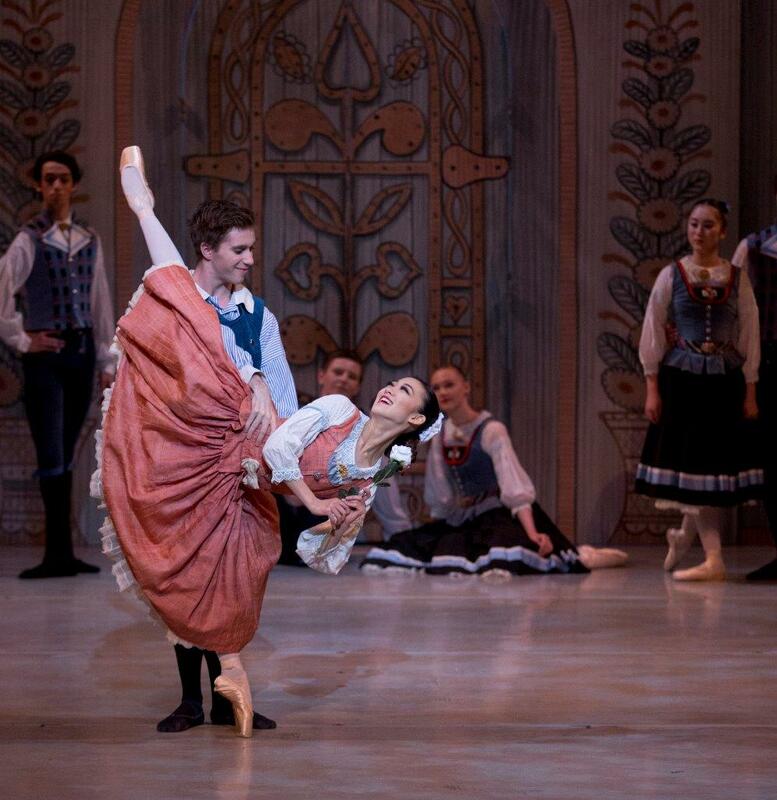 Yamada’s Gerda has the aspirational ballet princess qualities that young viewers will love. She dances with delicacy and seemingly effortless beauty, portending a solid future in such roles. Xavier Pellin has a fresh, natural presence as Kai, his face lit with a ready smile. Pellin is a strong, well-matched partner for Yamada, and the pair creates the innocent romance with tender flair. Pellin raises the dramatic stakes with sharp acting when Kai’s eye and heart are struck with splinters of magic mirror glass. 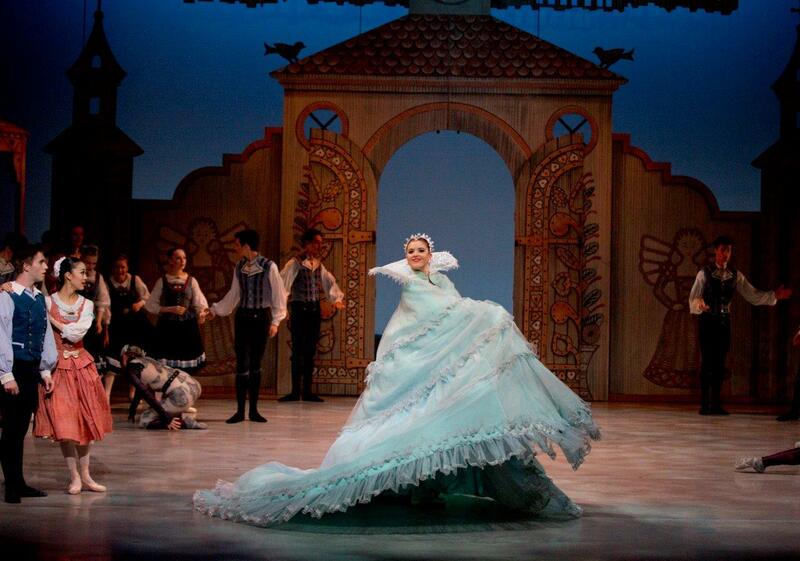 Making a grand entrance in her mighty billowing cloak, Elise Foster commands the stage as the Snow Queen. A highly accomplished dancer, Foster’s height adds an extra layer of majesty to her presence. In Foster’s interpretation of the Queen, the malevolence is suppressed behind a deceptively sweet smile. Foster shows disciplined control in her moments of slow and deliberate movement. As Gerda searches for Kai, she encounters the Gypsy Robber Girl and her tribe of Gypsy friends. 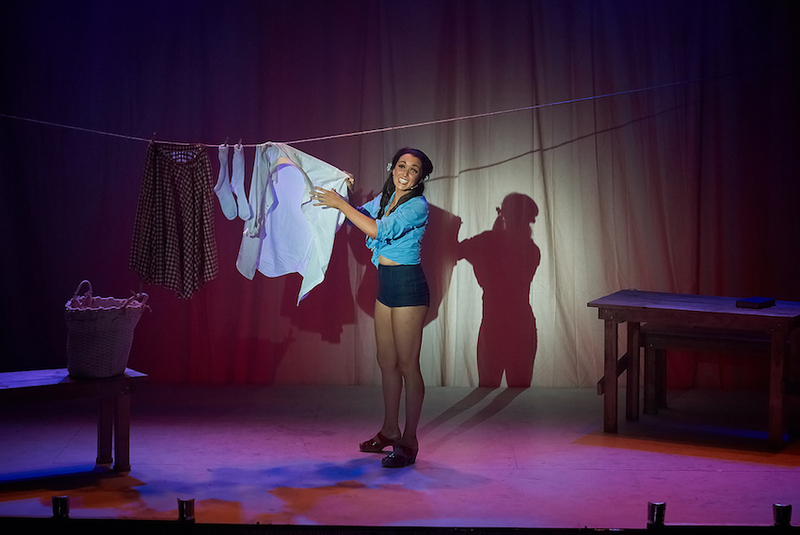 Colman contrasts the neat precision of the villagers’ costumes with ragged costumes of vibrant orange, pink, purple and black for the gypsies. After the festive village merriment, Miller-Ashmole uses a different vocabulary of dance for the gypsies. Tene Ward is magnetically compelling as the feisty Robber Girl. A highlight of her energetic choreography sees the game dancer thrown from boy to boy. His face covered in make up, Daniel Idaszak uses his entire body to bring a fully realised physicalisation to the noble Reindeer. Idaszak represents the Reindeer’s sturdy gait with a sweeping backwards steps. 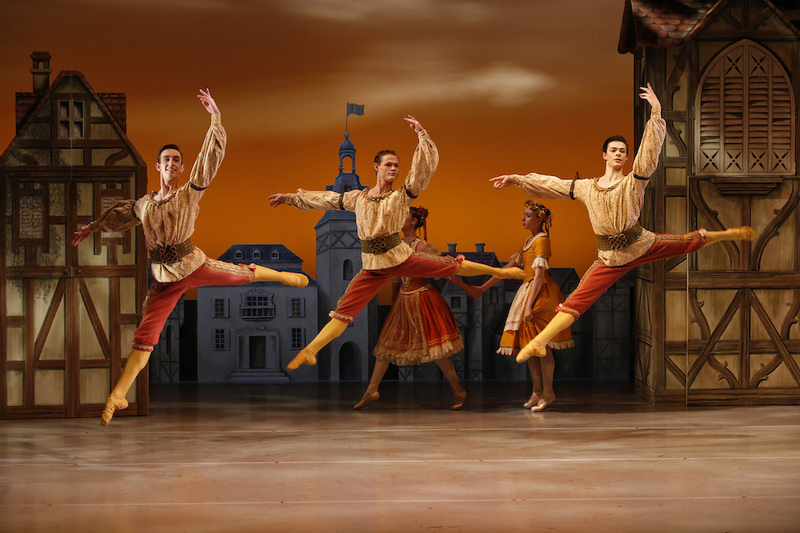 While the majority of pas de deux in storybook ballets involve lovers, Gerda and Reindeer bond as friends during a playful pas de deux, which climaxes with a stunning final lift. Act two opens in the Snow Queen’s frosty lair, where Kai sleeps high overhead on a hanging crystal. 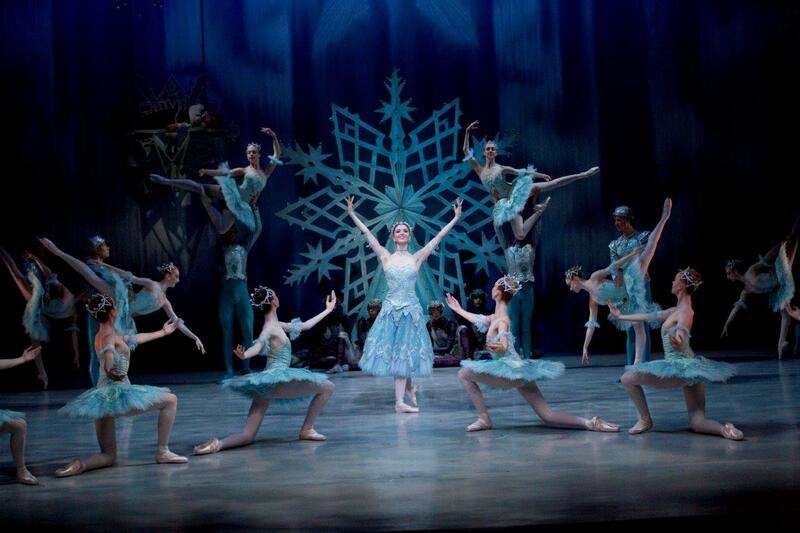 Sporting shades of icy blue, with crisp snowflake tutus, dancers form symmetric patterns about their monarch. Guest artist Christine Howard is charming as Gerda’s dear Grandmother. A character teacher at The Australian Ballet School for over 30 years, Howard’s performance gives her the chance to demonstrate her pristine mime skills. Each member of the large cast makes their own contribution to the joyful success of The Snow Queen. The dancers clearly take great pride in the quality of their work, and their sheer enjoyment shines through as well. 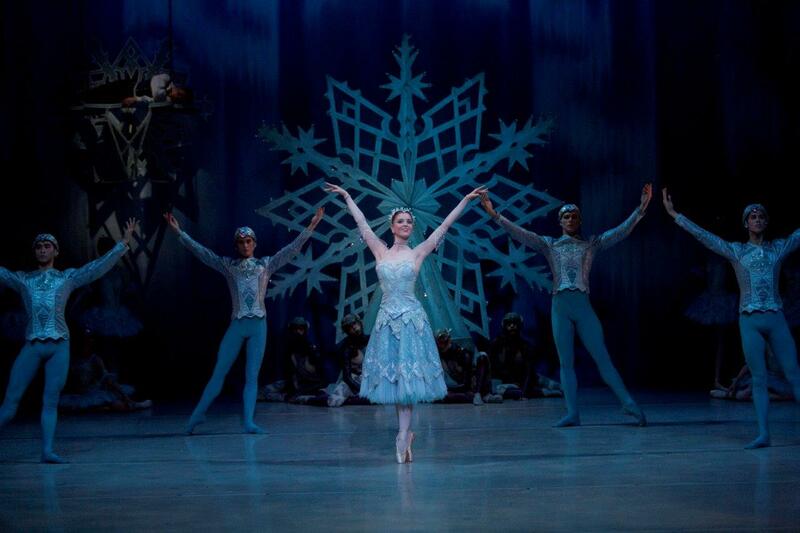 Melbourne is blessed with a number of holiday ballets suited for children this year. 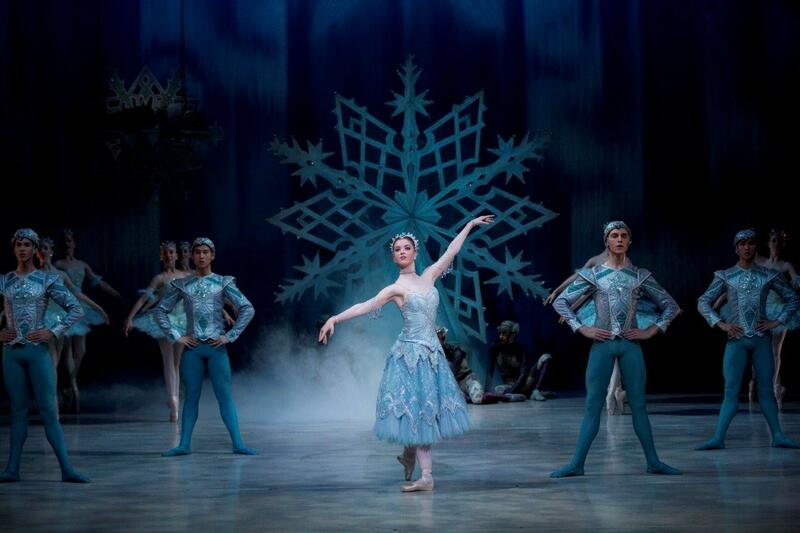 A change from traditional Christmas favourite The Nutcracker, The Snow Queen is highly recommended entertainment. The Snow Queen plays two further performances at Playhouse, Arts Centre Melbourne on 10 December 2017.